A stone can take away worry? Can a worry stone help? One of the oldest of human traits is the interest we have in picking up little bits of our environment. From the days in the caves, humans have been attracted to bits of nature, shiny stones, seashells and the like. Many people carry small bits of stones in their pocket as good luck pieces, talismans, amulets or a relief from anxiety or worry. In this modern era, we tend to dismiss these little bits of nature as irrelevant, unscientific or no more than a part of the placebo effect. The truth is that those who own and carry these objects, many of them, swear that they are helpful in managing their anxiety. I am reluctant to dismiss anything that works, knowing that much of what we humans believe works because we chose to believe it. There are plenty of legends about how a particular stone may be helpful in managing an emotion. Some of those stones continue to this day as part of our symbolic heritage. It is intriguing how many “rational, scientific” people have some small item tucked away in a pocket that they rub when uncomfortable. Diamonds are given for engagements rings. Their unusual hardness and rarity were thought to bring good luck to the relationship. Their expense was thought to encourage the man to hold on to this bride rather than lose such an expensive object. Amethysts were thought to help prevent drunkenness. Those who carry one and reach for it when they feel the urge to drink report that as long as you keep rubbing the stone you won’t pick up the drink. Some people take great comfort in small objects that remind them of their faith or religious devotion. Many a person has rubbed the plating off a cross or worn out a set of prayer beads. The cross or the beads, of course, are not usually thought of as the source of the help, but they are a way of reminding yourself of your spiritual connection. There are books full of the lore of minerals and stones. Each particular variety is seen as a symbol of an emotion and a way of centering oneself. There are commercially prepared “worry stones,” complete with a hollowed out portion ready to fit the finger with which you rub. 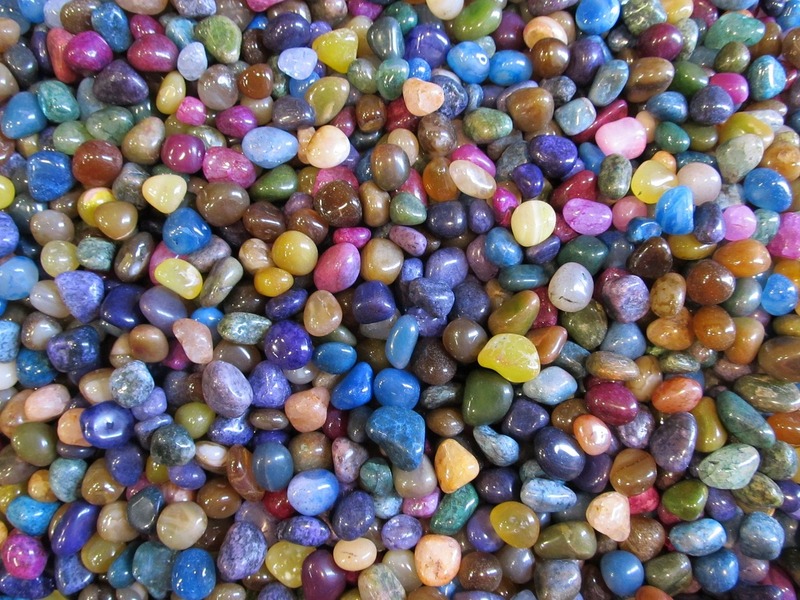 Many other people opt for carrying a small shiny polished stone available from many rock and mineral shops or gift stores. Do you have some small object, stone or jewelry piece that you rub in times of stress and does it help you discharge that emotion? This entry was posted in Self help skills and tagged amulets, Counseling, Gems and Minerals, good luck pieces, Licensed Therapist & Licensed Counselor, self-esteem, talismans, Therapy, worry stone by David Joel Miller. Bookmark the permalink.